BĒT is a premium-pour vodka made from the hearts of sugar beets: rooted in the soul of a farm cooperative, distilled to its essence, and revealed in a sincere, simple, social experience. Sourced from the Red River Valley in Northwestern Minnesota, crafted and bottled in New Richmond, WI. A world class spirit made in your own back yard. Bill Grenke is a bass player who has been active in the local music scene for over forty years. He hasplayed with Rio Nido, Curtis A., Salsa Blanca, Parisota Hot Club, The Wolverines Big Band, The Klondike Kates, and many more. He lives in Saint Paul with his wife and five children and is a life member of Local 30-73 AMF. Jeff Garetz was a hand percussionist for many years on the Twin Cities music scene, performing with Doug Maynard, Salsa Blanca and Willie and the Bees. 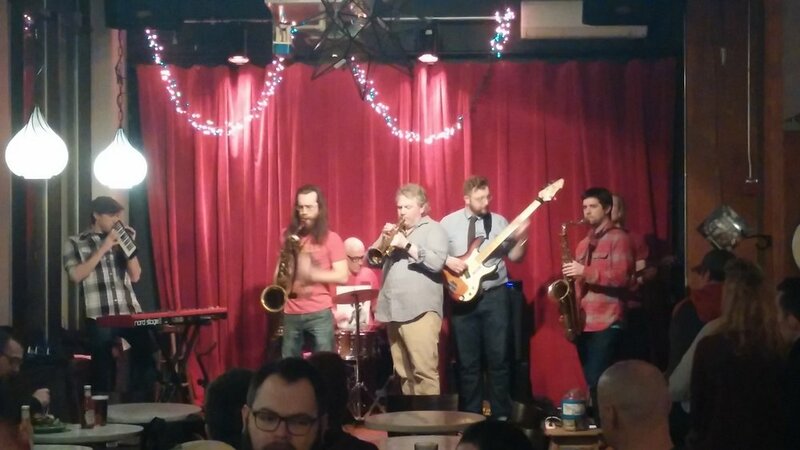 As he nears retirement from his day job, he's been pursuing his stick skills as a drummer, performing with Quick Grits (folk/rock) and The Cooper Hawks (jazz). 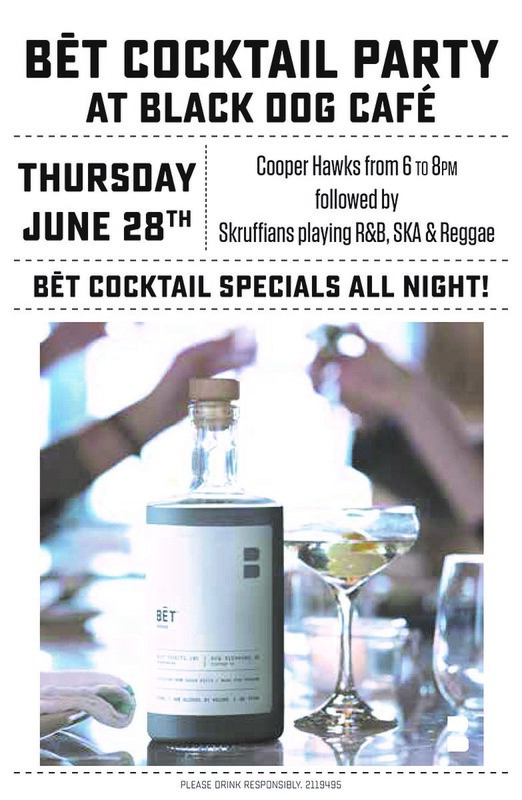 THE SKRUFFIANS PLAY AN INFECTIOUS MIX OF SKA, REGGAE, SOUL AND JAZZ INSPIRED BY THE SKATALITES AND OTHER JAMAICAN ARTISTS OF THE 60'S AND 70'S. THEY CAN BE FOUND AT THE BLACK DOG ON THE 4TH THURSDAY OF MOST EVERY MONTH.